It is tricky for me to find a good eye makeup remover as my eyes are quite sensitive and have reacted to a handful of removers that I've tried in the past. Even ones that claim to have natural extracts and are oil-free have stung my eyes on multiple occasions. I have resorted to using coconut oil in the last few years (my empties are proof of just how much I love this method for removing makeup) because I just haven't been able to find one that is specifically designed for the eyes that is good enough to recommend. 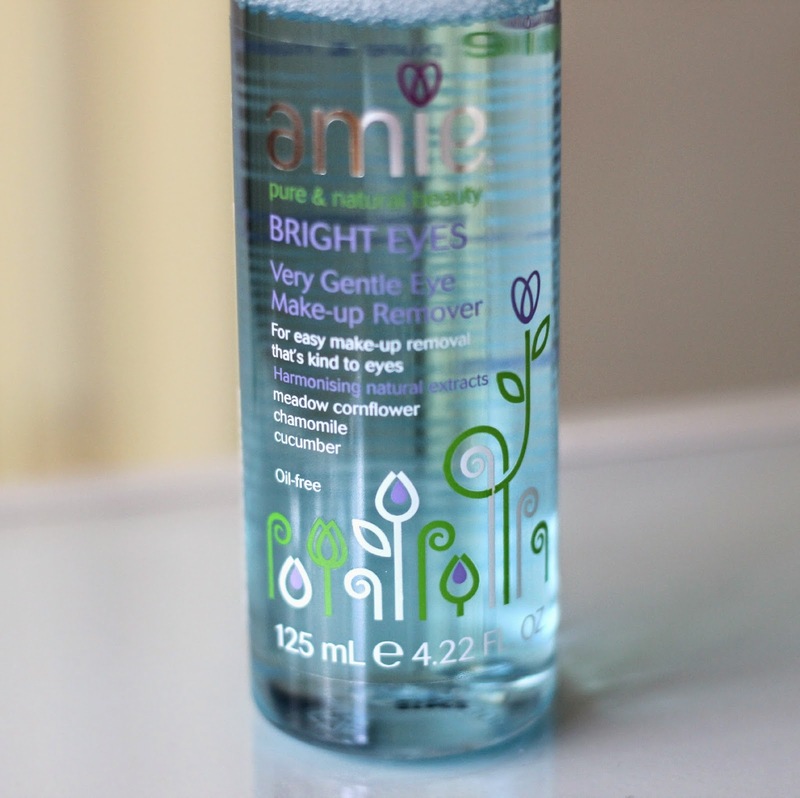 I've recently been trying the Amie Bright Eyes Very Gentle Eye Makeup Remover* and I'm happy to report that it is one I've been thoroughly enjoying! As with all of Amie's skincare products (some of which I have reviewed here), the ingredient list includes high-quality, naturally derived plant extracts and their products contain no parabens, sulphates, mineral oils or animal extracts, making it a vegan-friendly line. Their products are dermatologically tested and are also suitable for people with sensitive skin as they are pH balanced and non-irritating. The Bright Eyes Makeup Remover is not only naturally-formulated, but it actually works at removing even the most heavy-duty dark makeup without making you look like a hot mess afterwards. Active ingredients include meadow cornflower, chamomile, grape water, and cucumber which are all very soothing while also cleansing, cooling and hydrating to leave the skin around your eyes looking and feeling refreshed. Used with a cotton pad applied over the eyes and left to dissolve the makeup for a few seconds before wiping off, you can say a quick goodbye to your day's makeup easily and pain-free. 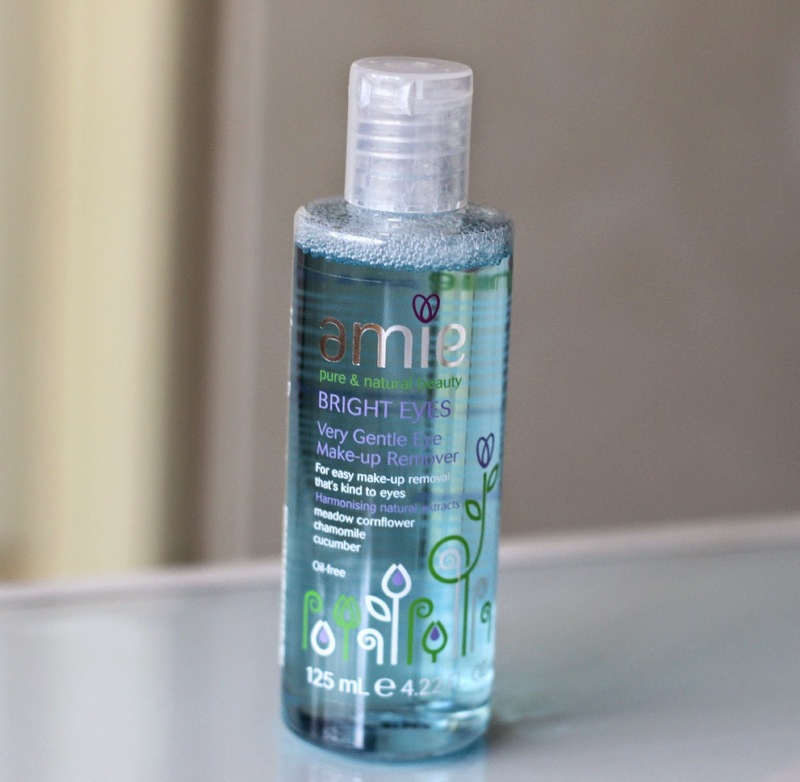 Amie is a UK brand that is now available at Shoppers Drug Mart in Canada. I know I will be repurchasing as I honestly can't get enough! 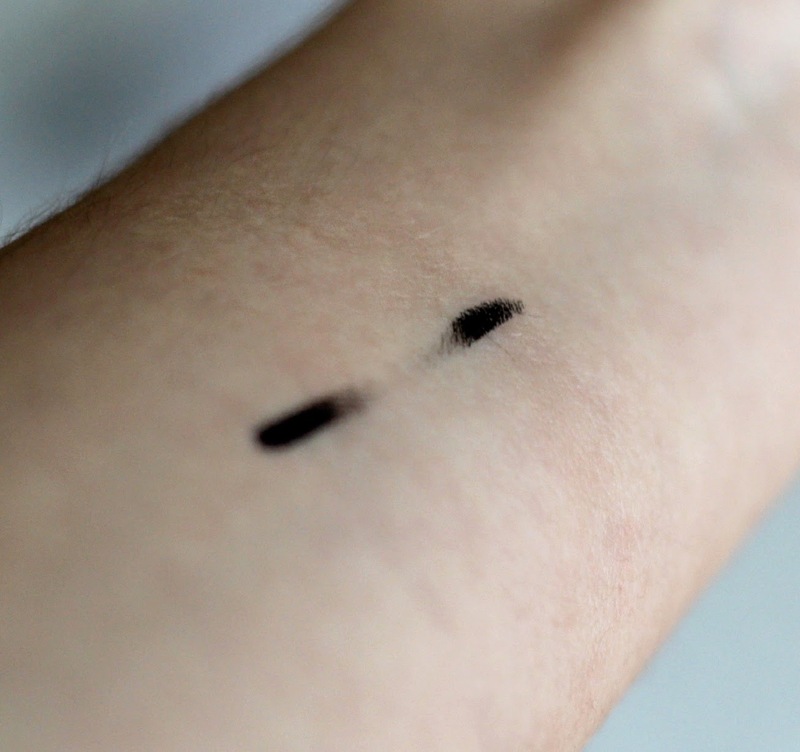 Have you had any success with liquid eye makeup removers? Which one are you currently using? I like this remover too, I have another amie review coming up! I really like the products, they are gentle but they get the job done!